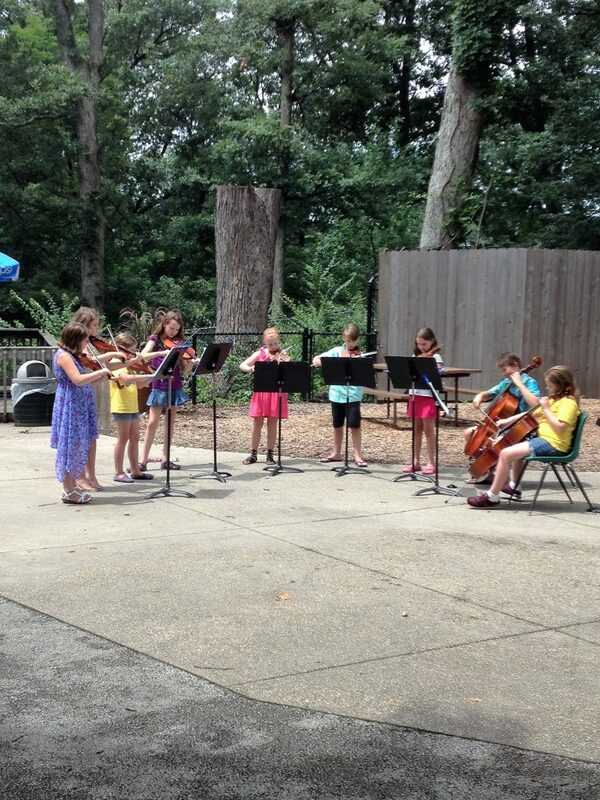 The Summer Strings program, comprised of the Pizzicato and Arco Orchestras, is designed for students aged 7-18 with at least one year of playing experience. This program provides string players with an opportunity to practice and perform over the summer while further developing their technical and musical skills. The Summer Strings orchestras will meet on Monday and Wednesday mornings from June 10th through July 24th (no meeting on July 3rd) in Pilling Chapel on Millikin University’s campus. The Pizzicato Orchestra is open to players with 1-2 years of playing experience and will meet from 10:00-11:00am. The Arco Orchestra, designed for players with 3+ years of experience, will meet from 11:15am-12:30pm. 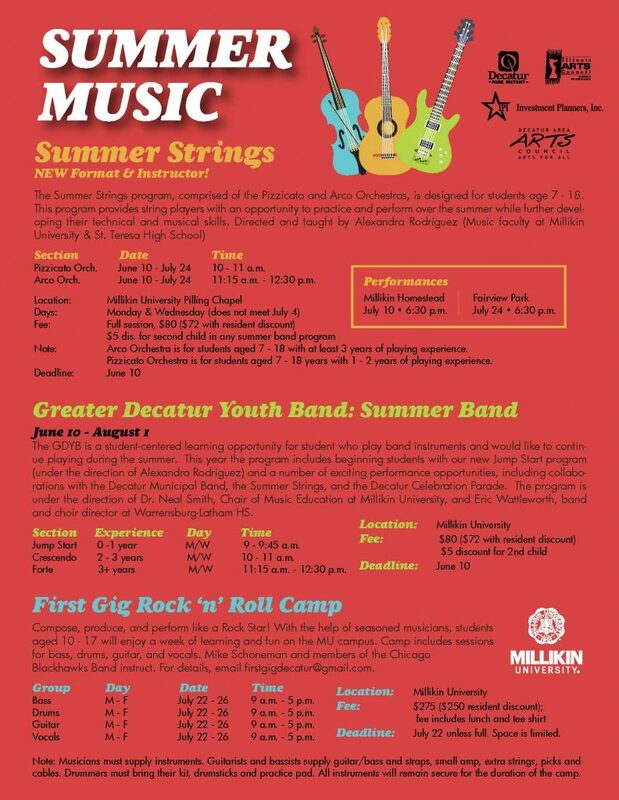 Both orchestras will perform on concerts with the Greater Decatur Summer Band program at 6:30pm on July 10 (Millikin Homestead) and July 24 (Fairview Park). The fee is $35 for Decatur residents and $40 for non-residents. Registration will be open for both orchestras until June 7, 2019 online and June 10, 2019 in person. The program is directed and taught by Alexandra Rodriguez (music faculty, Millikin University and St. Teresa High School).